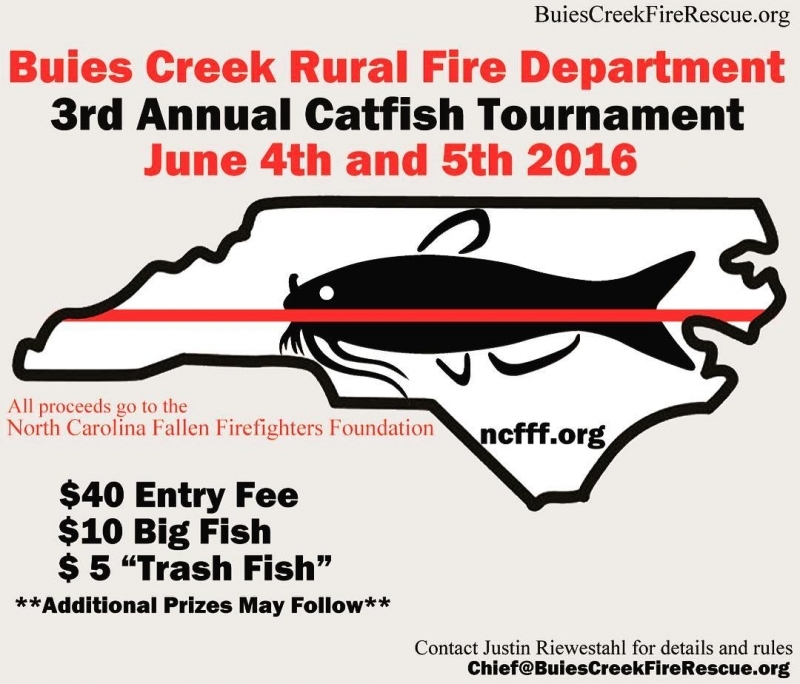 Buies Creek Fire Department is hosting it’s annual fishing tournament this summer. The 3rd annual event is scheduled to take place June 4th and 5th 2016 and 100% of the proceeds raised will benefit the North Carolina Fallen Fire Fighters Foundation. More information and details about the tournament are posted below. We hope to see you this year at this tournament for a great cause!